Heavy gauge, small to medium, open jumprings (18 gauge or thicker) are perfect for protecting your bracelets from coming apart. If your bracelet is caught on a doorknob or other object, the jumpring will release before the bracelet breaks, which will save you from having to re-string the entire bracelet. It will also save on bead loss from the break. 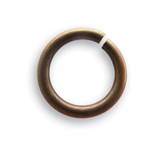 You can even use decorative jumprings to improve the appearance of your bracelet. Heavy gauge open jumprings are great for lanyards, too! Jewelry making is one of the few hobbies where you don’t need a ton of cash to get started. With just a few simple materials, you will have the opportunity to design and create beautiful pieces that will express your personality while enhancing your wardrobe. Here are a few of the tools and items that you will need if you want to start making your own jewelry today. 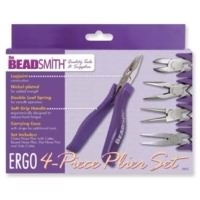 Every jewelry maker needs a good set of pliers, and there are several that you should keep on hand. Round-nose pliers will allow you to make loops, close jumprings and manipulate wire with ease. Flat nose pliers will give you a good grip so that your work is clean and precise, and chain nose pliers will help you to close bead tips and jump rings. You can also purchase the pliers you need in handy kits, which also typically include a pair of wire cutters. Wire cutters are essential because they allow you to cut the perfect lengths of wire as well as to trim excess wire from your projects. Findings are all of the non-bead components that you use as you make jewelry. These include clasps, jumprings, connectors, links and embellishments. Ear wires, headpins and eye pins are also considered to be findings. Findings come in many styles, metals and designs. 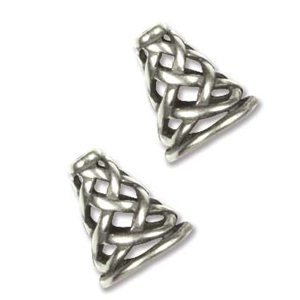 Whether you wear silver or gold, there are findings that will enhance your jewelry. There are simple findings as well as decorative ones on the market, which will allow you to find the perfect findings to suit your designs. It is important to always keep a collection of various findings on hand. Imagine your frustration if you complete a project only to find that you are missing a portion of your clasp! When you keep your supply of findings fully stocked, you will always have what you need when inspiration strikes. Beads have been around for centuries. They were initially made of natural materials, such as wood, clay and shells. They were often used as money or to identify someone’s high status in society. Today, beads are available to the general public, and there are thousands of styles, colors and types on the market. 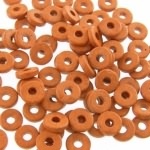 While wood, clay and shell beads are still popular, there are also other types, such as glass and plastic. There are also many sizes of beads, which makes it easy for you to find the perfect beads for your project. In the past, necklaces and other jewelry pieces were strung together using sinew or plant fibers. 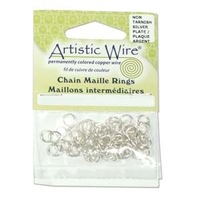 Fortunately you now have a variety of stringing materials to use for your pieces. 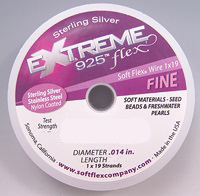 You may want to start with some basic wire gauges, such as 20- and 22-gauge wire, which will be ideal for making earrings. Different types of cords allow you to create jewelry using different textures and techniques. You can also use thread for stringing jewelry or off-loom weaving. With just a few basic materials, you can begin making your own beautiful jewelry. Once you have learned the basics, you can begin expanding your toolbox, beads and other items for even more options as you work. Pick up a few supplies and start creating something new today!